Are you ready for the last part of the Rescue Beauty Lounge series? Purple Haze is a very warm and profound violet purple. It has some dustiness and is dark enough to escape the pastel category so you could definitely wear it any season. 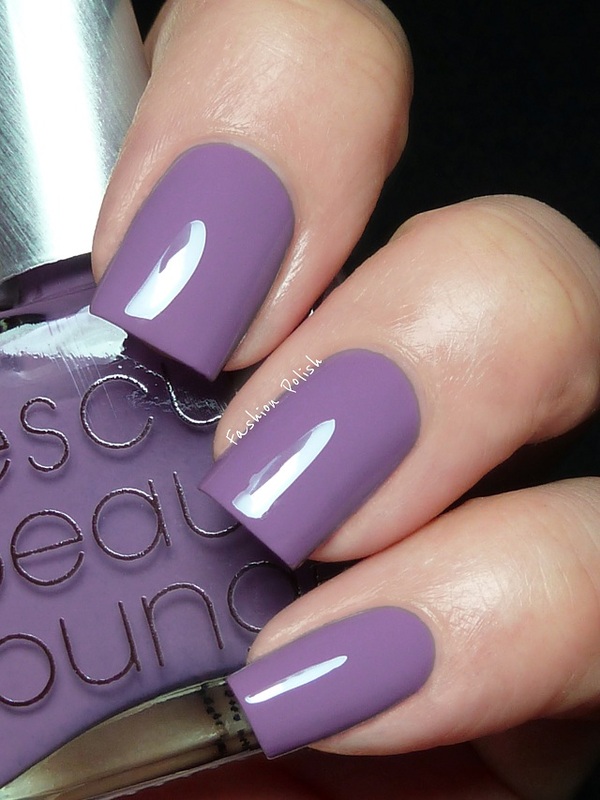 A beautiful shade that literally applied itself in 2 coats but that wouldn't behave in front of my camera! This is very close to Purple Haze's true color, only a tad more plum in real life. Mismas was imagined by Michelle from All Lacquered Up as part of the famous Rescue Beauty Lounge Blogger collection along with Orbis Non Sufficit and Scrangie. Now that enough should win you heart but if it didn't, just look at this deliciously creamy purple and it defnitely will. Two coats in the swatches below. 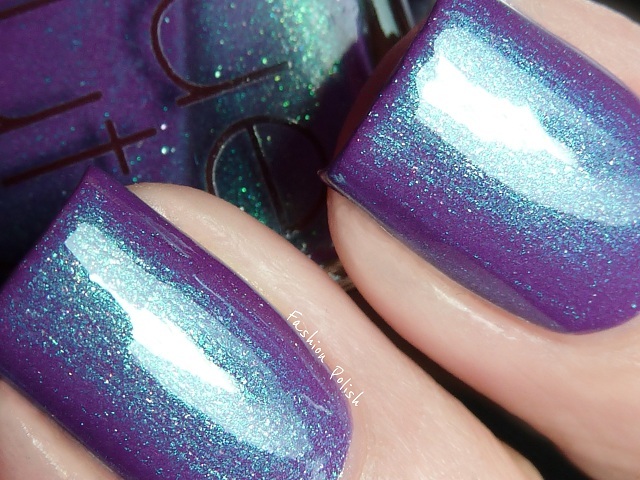 Scrangie, created by the namesake queen of blogging herself and inspired by the wing of a beetle, might very well be one of the most mysterious nail polishes ever. It's very similar to Mismas in terms of base color but it is completely enlightened by an array of green and blue iridescent shimmer. Again, I tried my best to show you swatches as true to life as possible but I don't think any picture would ever do it justice, you'd have to see its awesome sparkle for yourself. Scrangie went on rather sheer but perfectly even on the first coat and built up to full opacity with the second. I hope that you've all enjoyed this RBL series as much as I have. It was a pleasure playing errrr... swatching them all : amazing colors, amazing formula, gems in a bottle! Rescue Beauty Lounge nail lacquers can be purchased on the Rescue Beauty Lounge website and retail for $18 to $20, international shipping available. I live all of these colors! These purples are all so pretty. I really like purple haze. OMG! I loved All! I need them! haha. All these are gorgeous, I love Mismas! adored this RBL series - fantastic! whyyy has scrangie been in my untrieds for months.. im such a failure! 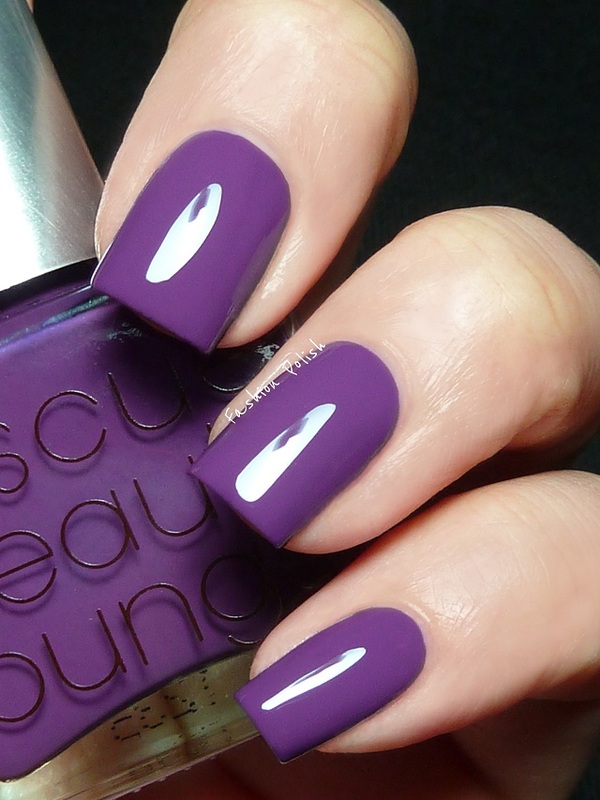 amending that with my next mani. I'm partial to light purples and lavenders so of course I am in love with Purple Haze. WOW I really love these colors! For the longest time I really wasn't crazy about purple, but I love what the nail companies have been doing with them lately--those hits of grey and plum really bring out the best in purple! Scrangie is stunning, I need to get it already!